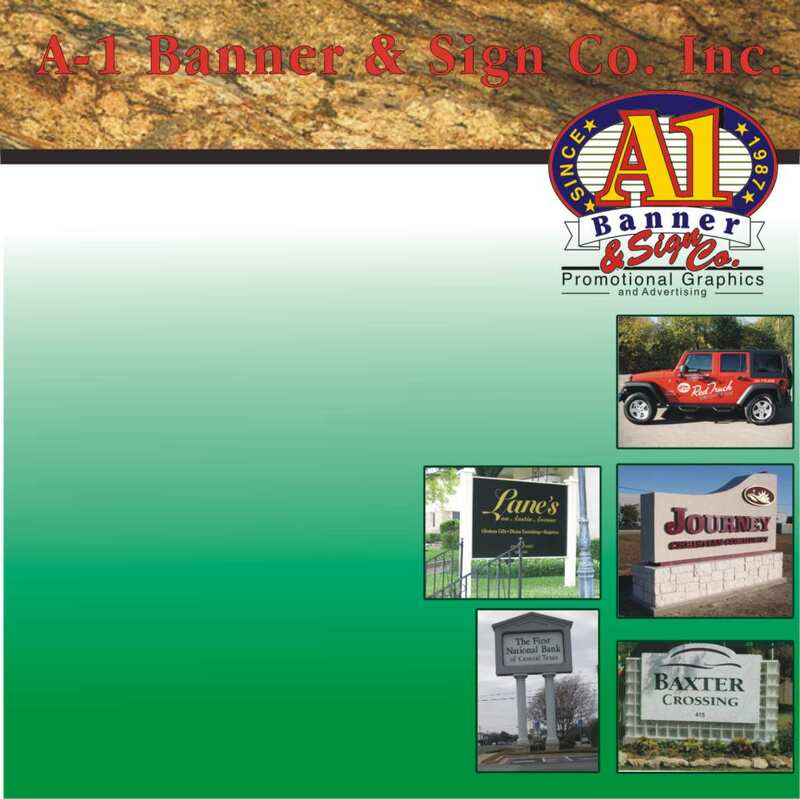 A-1 Banner & Sign Co. Inc. When your message is combined with the appropriate design and then executed into a professional produced product, good things will result. A-1 Banner and Sign Co. produces all types and styles of signs, banners and promotional graphics. For business, clubs, churches, or just personal use, A-1 can produce it professionally and on time at a great price.